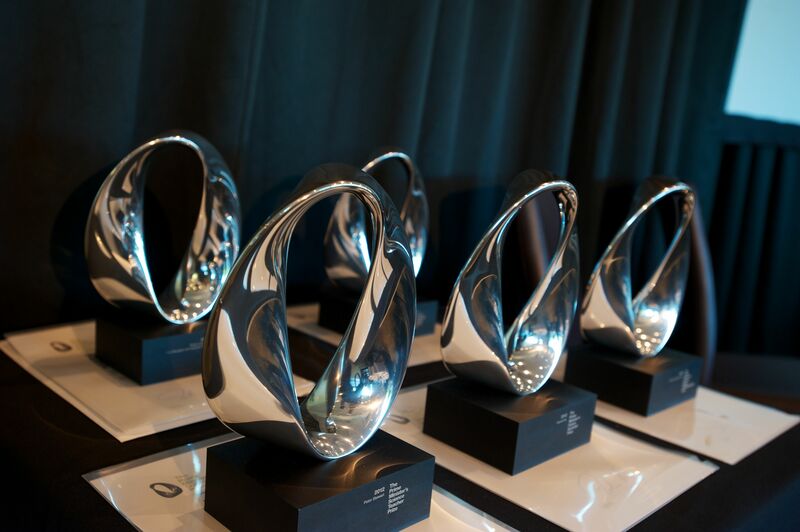 Highlighting the science behind innovation and how it drives economic growth has helped a leading Wellington scientist win the 2012 Prime Minister’s Science Media Communication Prize. 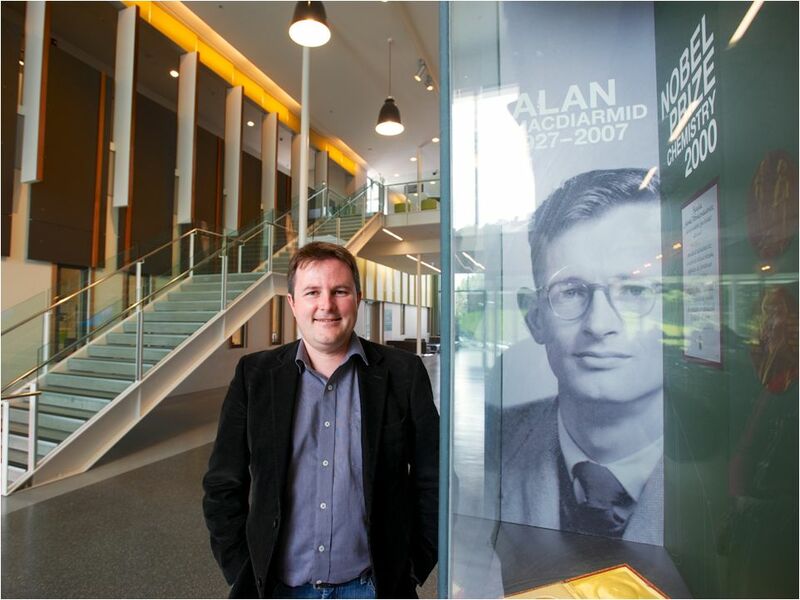 Professor Shaun Hendy, who was chosen by the late Sir Paul Callaghan to continue Callaghan’s writing on innovation, has been honoured for his communication and commentary on the links between science and technology and economic prosperity. Winning the prize sees Shaun receive $50,000 with another $50,000 allocated for further developing his science media communication skills. Hendy is a Professor of Computational Physics at Victoria University of Wellington, Deputy Director of the MacDiarmid Institute for Advanced Materials and Nanotechnology, and an Industry and Outreach Fellow for Industrial Research Limited. His blog, A Measure of Science, attracts a monthly audience of more than 1,000 readers many of whom are policy makers in New Zealand’s innovation sector. Some of Hendy’s posts, including one on the Fukushima nuclear disaster, have been syndicated by leading newspapers and read by a large international audience. A theoretical physicist with a current focus on nanotechnology, Hendy is also physics correspondent on Radio New Zealand’s Nights programme and regularly talks about his work at public events or conferences for policy makers. His work is credited with changing attitudes and behaviours in both government and business. His approach to understanding innovation has been used in major New Zealand companies in the development of their research and development strategies, in New Zealand Trade and Enterprise’s analysis of New Zealand’s high technology sector, and by Business New Zealand to encourage a collaborative approach to exporting to Asia. Hendy began working on a follow-up to Sir Paul Callaghan’s book Wool to Weta in late 2011 and took over the project after Sir Paul’s death in March this year. The sequel, Get off the Grass, which will be published in 2013, draws on Hendy’s own research and thinking on how innovation works and recent research by others that links innovation to economic growth. He says the book argues for more diversity, openness and collaboration in New Zealand’s science and innovation system, something that will require more spending on research and development. In recent years, Hendy has used the theory of networks to study relationships among inventors in an international patent database. He intends to use the prize money to delve more deeply into the topic by travelling overseas to look at some of the world’s biggest inventor networks. That includes one that connects around 24,000 inventors, most of whom are in small to medium sized businesses, working in the medical device industry in California. He also plans to devote some of the prize money to a collaboration with Wellington installation artist Gabby O’Connor. “She is interested in the interplay between mathematic patterns, symmetry and art and I have found a range of geometric patterns in the networks of people and objects I’ve studied in my work on innovation. “As well as being an exciting venture, art is an excellent way to engage the public with science,” says Hendy. A third focus for Hendy will be further developing an online idea-generating game called Pounamu that ran alongside the Transit of Venus forum in Tolaga Bay earlier this year. It explored what New Zealand might look like in 15 years’ time and pathways to get there. 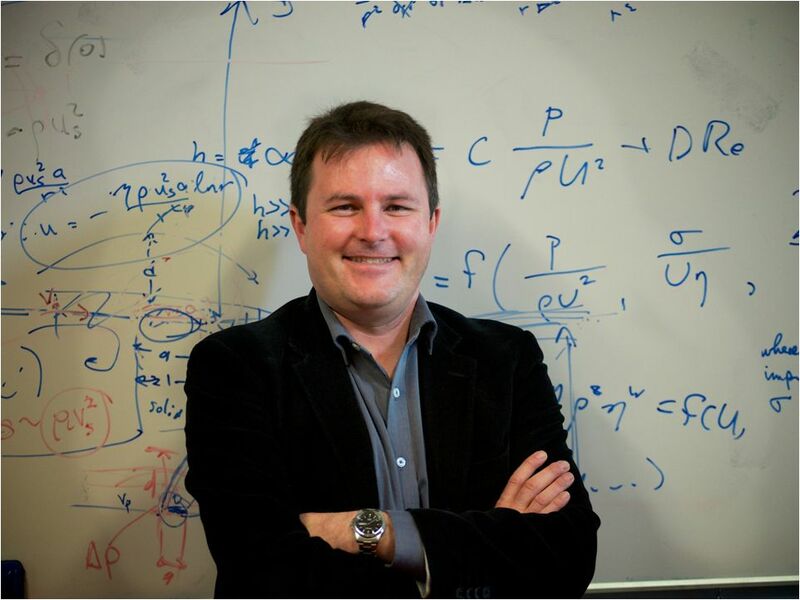 Shaun was recently announced as the 2012 recipient of the Callaghan Medal, awarded by the Royal Society of New Zealand, for outstanding contribution to science communication.